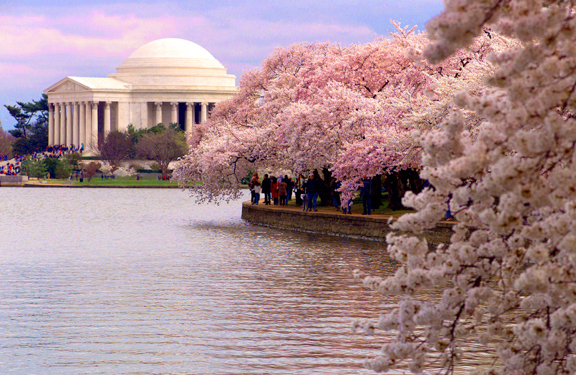 The Trip That Wasn’t– Missing The 2011 Cherry Blossom Festival In Washington D.C.
Could The Jefferson Memorial Possibly Look More Beautiful Than At Cherry Blossom Time? Having lived in the Washington D.C. metro area about a thousand years ago, back in my salad days, I have always loved the cherry blossoms each spring. 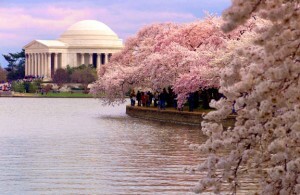 Although there are now nearly 4,000 cherry trees planted around the Tidal Basin and the National Mall/Washington Monument area, it all started with a gift of just 100 cherry trees to the United States from Japan in 1912, a gesture designed to bring the two countries closer together. In Japan, the cherry blossom is the national flower, symbolizing the renewal of life and the traditional celebration of the blooming is called Sakura . In the US, the blossoms this year are seem all the more poignant because of the sorrow continuing in Japan during this year’s Cherry Blossom Festival, which officially began here this past week. It’s been a while since we have been to Washington at cherry blossom time and we had planned to drive up on Friday morning and come back on Sunday, just enough time to walk the Tidal Basin circuit and enjoy the some of the events. Depending on traffic near D.C. itself, it’s only about a three and a half hours each way, so a fairly easy drive from the Eastern Shore of Virginia. As I always say, one of the great things about living on the Eastern Shore is that our area is so central to lots of off-Shore interesting events and activities, variety being the spice of life. 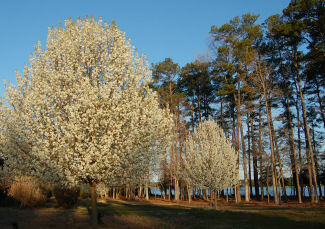 My March Blooming Bradford Pear Trees. 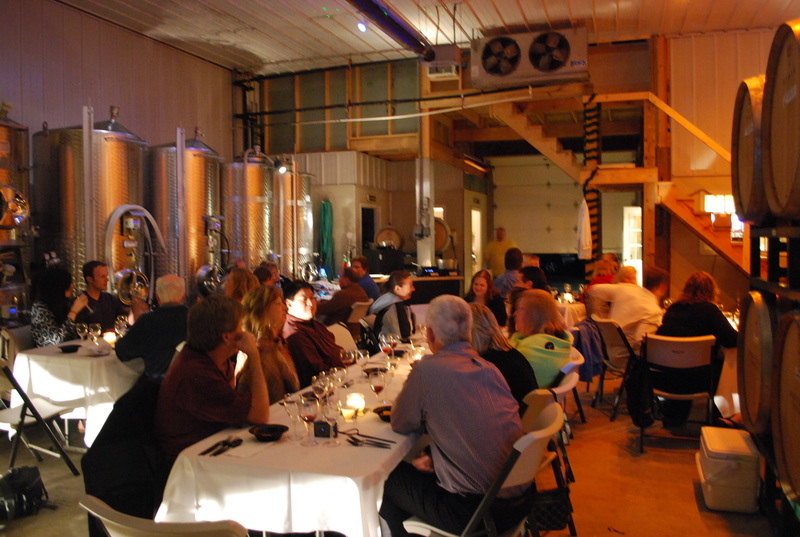 Last Saturday night’s “Wine and Dine” at Holly Grove Vineyards near Cape Charles on the Eastern Shore of Virginia was the most fun I have had at a winery in a very long time. 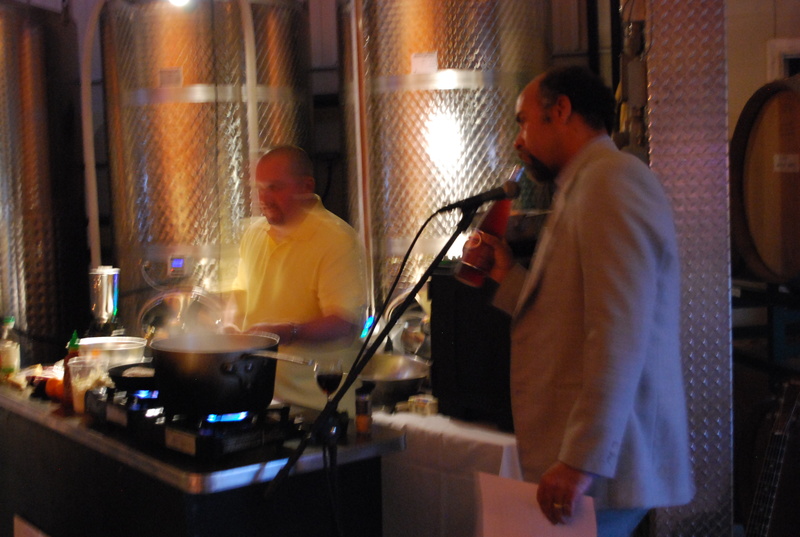 Johnny Mo, cooking and singing Chef Extraordinaire and Jonathan Best, proud vineyard owner explaining his wines, was a fantastic pairing indeed. Certainly the approximate 40 other attendees were completely enthralled, as were Eldest Daughter, my husband and myself. Held in the winery building, with Hungarian oak puncheons lining one wall, lending the cozy warm feel of wood to the candlelit room and gleaming steel fermentation tanks lining the other wall, the 5 course meal and wine pairing began about 7 pm, just as the setting sun was painting the fluffy clouds over the vineyard in wine colored shades of rose’ and burgandy. And things were still going strong at 9:30 when the silky banana creme brulee’ dessert was served, signaling the near end of a truly delightful evening. Johnny Mo, Chef Extraorinaire, song writer and guitar player entertained everyone at the dinner with his new song, "Living on the Eastern Shore." 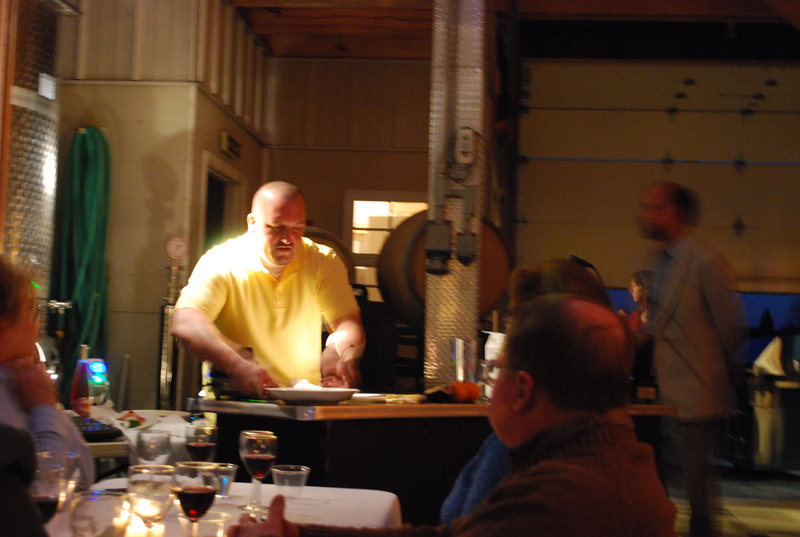 Chef Johnny had set up a well-equipt cooking station positioned so that everyone could see him as he presented the “how-to” preparation tips for every course on the menu. As the wine for the appetizer was being poured, Holly Grove’s semi-dry and crisp “Sunset Rose’, ” Chef Johnny, a rather flamboyant yet laid-back personality, started the evening off by getting out his guitar ( one of many from his apparently large collection of classic guitars) and sang a song from his new CD album, written by him and called “Living on the Eastern Shore” ( yup, it’s so great here people even record songs about it ). From there, it was on to the demonstration of preparation of the appetizer, Seared Ahi Tuna over Sushi Rice with Seaweed Salad and Sriracha Chili Sauce Aioli. I don’t eat any fish that isn’t fully cooked but my husband is a sushi enthusiast so the lucky guy ended up with a double portion, which he pronounced “delicious”. Chef plates his tangy roasted red pepper bisque with the goat cheese "secret ingredient". The tuna was followed by a red pepper bisque. Chef explained in great detail the time- honored method of roasting peppers over a flame until well charred, popping them into a paper bag until the skins are soft, slipping the skins off and seeding, then slicing the peppers. Then, smiling coyly and to the amusement of the audience, he held up a large jar of commercially prepared roasted peppers and said ” Or you could just buy them like I do.” The “secret ingredient” in his bisque was goat cheese, which lent an interesting tang to this otherwise creamy and mild soup. It was served with a wedge of crunchy jalapeno cornbread placed in the middle of the bowl and accompanied by a large dollop of cream. ( Johnny loves cooking with cream, unfortunately for my waistline, so do I. ) 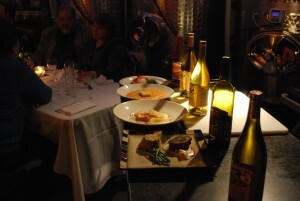 Paired with the bisque was Holly Grove’s 2008 Merlot, whose unique toastiness Jonathan Best attributes to the way it is aged in Hungarian oak barrels. It was perfect with the salty tartness of the goat cheese. A salad of orange slices came next, finished with toasted walnuts, long curls of an excellent parmesan cheese and a citrus vinaigrette. Chef prefers Cara-Cara oranges for this dish when available as they are seedless with deep colors and extra vitamin C. I have been buying Cara-Cara oranges in bulk at Costco for years and was gratified that someone else loves them as much as we do. He also demonstrated the best way to peel and slice the oranges and then made the vinaigrette. Chef emphasized that when making a dressing with citrus juice, the proper proportions are 1/3rd juice to 2/3rds olive oil, plus a good dollop of honey and some sweet herbs. Served with the salad course was Holly Grove Vineyard 2010 “Coastal Trio”, a very smooth blended white wine whose 2009 vintage won the Silver in the Town Point Wine Competition. The luscious Lobster Cream Sauce broth bubbles and reduces as Johnathan Best discusses "Genesis", the Holly Grove red wine served with the entree'. 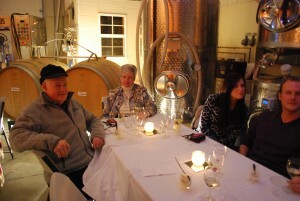 Relaxing At The End Of A Delightful Dinner At Holly Grove Vineyard's "Wine and Dine" event. All good things must come to an end and the ending to this wonderful meal was a banana creme brulee’, rich and creamy, not too sweet, with just the right touch of banana and topped, southern-style, with some crunchy mini-vanilla wafers instead of the traditional crispy burnt sugar. It was Chef’s mother’s and neice’s birthday so while the rest of us were savoring our creme brulee’, he sent out a fabulous looking little cake to their table and everybody joined in to sing an enthusiastic chorus of “Happy Birthday, Mommy-O and Leslie”. 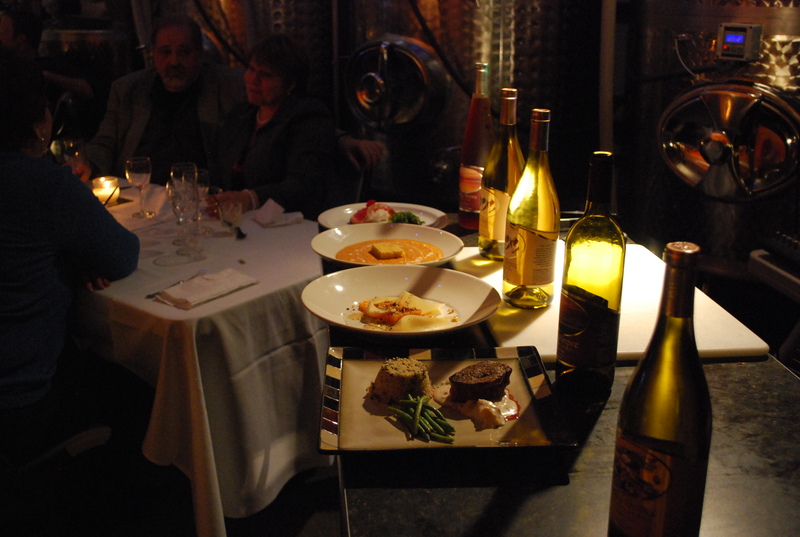 The wine pairing was a very nice sweet white with a bit of acidity, the well-named 2010 “Celebration”. A huge round of applause ended the evening. 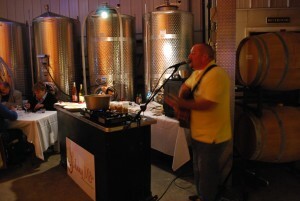 Everyone had loved the wines and the food and the absolutely unique Johnny Mo, that singing, song-writing, guitar playing, joke-cracking top notch chef ! I’m really looking forward to the next Johnny Mo at Holly Grove event, hopefully to be scheduled every quarter from now on, definitely we will try to be there every time ! P.S. Check out Holly Grove wines at www.hollygrovevineyards.com . Johnny Mo is the beloved chef at Mallard’s Restaurant which overlooks the water at the Wharf in Onancock, VA, www.mallardsllc.com . Johnny also sells his spice blends, etc. on-line at www.chefjohnnymo.com . Kelly's Gingernut Pub Cape Charles, Va.
Like so many people, I have really have been saddened for a week by the terrible earthquake and tsunami in Japan. So when March 17th rolled around it seemed like an opportunity for a welcome respite, for a wee bit o’ fun even. Although I am not Irish, I do love many things Irish including a little blarney, the fantastically funny series, “Father Ted”, from BBC Ireland, the movie “Waking Ned Devine”, the folk tales of Wm. Butler Yeats and the amazing stepdancing of the Riverdance company (www.riverdance.com) whose live performance we enjoyed at Chrysler Hall in Norfolk some years ago, and lots more. ( I could definitely enjoy meeting up with a leprechaun or two from time to time, particularly if they could reveal the precise location of that wondrous pot of gold to be found at the end of the rainbow, no doubt cleverly hidden in a fine meadow of shamrocks. ) But also welcome, and considerably easier to come by, would be an authentic Irish dinner at one of the Eastern Shore of Virginia’s two excellent Irish Pubs, Kelly’s Gingernut Pub on Mason Avenue in Cape Charles and The Blarney Stone Pub on North Street in Onancock. And just for fun, I shall share here a few interesting bits of trivia about the Emerald Isle which I recently read in the book, “Little Known Facts about Well Known Places In Ireland”, by David Hoffman. Although you may think that the most popular drink in Ireland is a “pint” ( of Guinness, of course ), actually the the most popular drink is tea and Ireland has the world’s highest per capita rate of tea consumption. Because of this, every pub in Ireland is required by law to serve hot tea. There are twice as many cows as people in Ireland and 5% of its entire milk production is used in the making of Bailey’s Irish Cream, a noble use indeed ! And let’s not forget the cream needed for Irish Coffee. My husband loves Irish steel cut oatmeal but the Irish apparently eat more corn flakes than oatmeal. In fact, the Irish are believed to eat more corn flakes per capita than any other country in the world. I’m sure the Kellogg cereal company is pretty pleased by that, especially as the name Kellogg is an Irish name, a variant on the name Kelly, which has as one of its meanings “brave warrior” which may be what it takes to deal with the 250 days per year, on average, that it is cloudy or rainy in Ireland. The longest place name in Ireland is Muckanaghederdauhaulia which apparently means “pig marsh between two saltwater inlets.” And to think we ever thought Eastern Shore names like Nassawadox, Chincoteague and Kiptopeake were tongue twisters . The Irish have a great saying, “Ni the’ann cuileog san mebe’al a bhi’os du’nta”. Or, for those who don’t read Gaelic, “A closed mouth catches no flies”. Truer words were never spoken. Peter O’Toole, the famous movie actor and star of “Lawrence of Arabia”, was born in County Galway and has worn green sox in honor of the Old Country every day since he was 14 years old, a pretty long time indeed. Bono, of the famed Irish rock group U2, is the only person in the world ( so far anyway) to have been nominated for a Grammy, an Oscar, a Golden Globe and a Nobel Peace Prize. Congratulations, Bono- Is fearr beaga’n cuidithe na’ mo’rdn trua ! And by the by, the Irish alphabet does not contain the letters J, K ,Q ,V ,V , W , X , Y or Z. The term “honeymoon” was derived from an old Irish tradition of giving a bottle of “honey wine” , a type of mead brewed by Irish monks containing honey, water and yeast, as a traditional wedding gift for the bride and groom, to be shared by them for one full moon after they were married, the honey moon. The ill-fated ship Titanic was built in a shipyard in Belfast. The chief designer there informed the owners that it would be possible to outfit the ship with 64 lifeboats. If this had been done it would have provided enough seats for the 1517 passengers who were on board when it sank on its maiden voyage in April, 1912. But the legal requirement was only 16. The Titanic’s owner, White Star, cut the number from 64 to 32 and ultimately to 20 because having too many lifeboats would “sully the aesthetic beauty of the ship”. At any rate, on Thursday I was really looking forward to having a real Irish dinner at Kelly’s Gingernut Pub in Cape Charles, Virginia. Kelly’s is a great place anytime, good food, good people, good music, good fun but on St. Patrick’s Day it really outdoes itself. I had been envisioning for several days the first blissful mouthful of some really good Shepherd’s Pie, buttery mashed potatoes piped over tender bits of lamb smothered in a silky gravy with the perfect balance of carrots and onion. My husband prefers a classic corned beef and cabbage dinner served with carrots and potatoes cooked in the corned beef broth, all low cal of course. So Kelly’s was the plan for St. Paddy’s Day dinner…. But, alas, it was actually not to be. My husband and I had a meeting scheduled for Thursday in Virginia Beach which I thought would be over by 4:00 PM, plenty of time to get back to the Eastern Shore for dinner. But the meeting started late, as meetings often do, and didn’t break up until nearly 6:30. Then I had two errands which absolutely had to be run before going back to the Shore. By 7:45 we had finished our errands and decided to call Kelly’s to see if they had plenty of our favorite dishes left as it would take at least 45 minutes to an hour from where we were to get to the Pub. When Gene Kelly answered the phone I could tell things were really rocking and rolling because, although I was just about yelling at the top of my lungs, Gene kept saying ” I can’t hear you, I’m not hearing you”. I’m sure the place was packed to the rafters, the background laughing and talking just roared through my cell phone. Clearly a wee party was underway at the Gingernut Pub ! But by then, sad but totally true, we had worn down a bit, I started mumbling something about low blood sugar and we opted for eating at a little Vietnamese restaurant we love in Virginia Beach, Vietnam Gardens near Hilltop, only 5 minutes away. So, no Shepherd’s Pie for me, no corned beef and cabbage for my husband, no glass of Guinness for either of us. But…. there’s always next year. And the beef pho was delicious, as ever, as was the lemon grass chicken– not what or where I had expected to be eating that night but delicious nevertheless. Unlike most coastal areas, the Eastern Shore of Virginia is a treasure trove of historic homes, indeed entire little Eastern Shore towns consist almost completely of well-loved old homes. And buying a historic home that needs renovation is an addictive process. At Blue Heron Realty Co. we get a lot of calls from people who are just starting to think about the possibility of acquiring a historic home in Virginia , be it waterfront, in a quaint coastal town like Cape Charles or a home out in the country, maybe even on acreage along the Chesapeake Bay. At first blush, dealing with an old home may seem somewhat overwhelming, scary even. But then curiosity sets in, a Stage I desire to at least get out there and explore what’s for sale, see what homes are available at what price, investigate what architectural styles are most appealing to one’s own aesthetics— Colonial ? Federal ? America Four Square ? Arts and Craft ? Possibly the very popular Victorian style home, one of my personal favorites ? 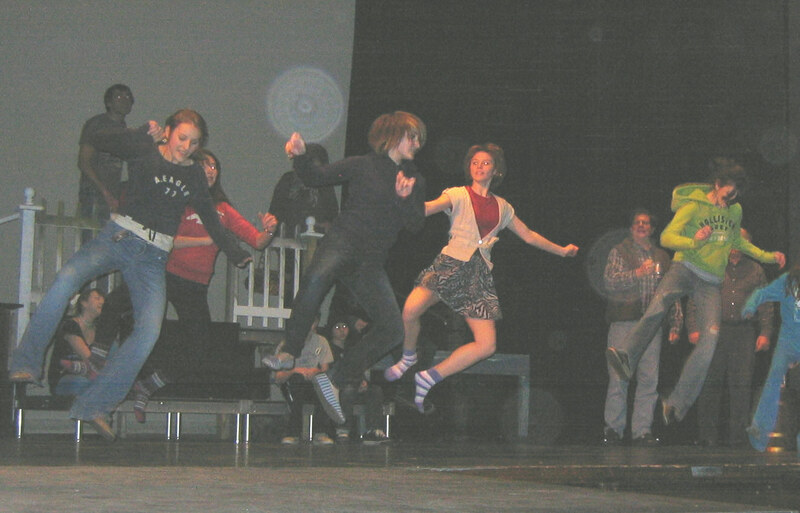 Stage 2 involves falling in love with a particular home, seeing one’s self living and loving life there. Stage 3 involves the home inspection, a through review of the home from roof to crawl space to assess the condition of the home in preparation for Stage 4, which is the evaluation of the costs of the renovations that the inspection showed were necessary. Which brings us to the really fun part, Stage 5, which is the evaluation and pricing of the renovations that your aesthetics say are necessary. Stage 5 is so much fun because it involves the selection of items that will make your old house come to life again using authentic restoration products that maintain the historic ambience that attracted you in the first place. What could possibly be more fun than that, short of Stage 6 which is moving into your historic home and beginning the actual restoration process ? So from plumbing to hardware, here are 10 categories of places to help you find great reproduction or renovated products to use to your restore your very own Eastern Shore historic home. Plumbing- Affordable Antique Bath & More, Inc. www.bathandmore.com. Lots of choices for bath redos, including claw foot tubs, pedestal sinks and more. Also Sunrise Specialty Products, www.sunrisespecialty.com, which has interesting rolltop tubs with pedestal bases as well. Also Signature Hardware, www.SignatureHardware.com , which is a family owned restoration products business dating back 75 years. Roof – Preservation Products,Inc. www.preservationproducts.com Products for restoring and beautifying roofs and masonry walls on historic homes. Siding– Ward Clapboard Mill- www.wardclapboard.com. Historical vertical grain clapboards for restoration projects. Also Carlson’s Barnwood Company, www.carlsonsbarnwood.com, suppliers of antique building materials including antique wood beams. The Conklin Barnwood Co., www.conklinsbarnwood.com specializes in barnwood for various uses. Porches and Stairways– Cinder Whit & Company. www.cinderwhit.com , Specializes in products to restore porches and stairs, lengths up to 12 feet. Lighting– Restoration Lighting Gallery, www.myrlg.com specializes in vintage and reproduction lighting and lamps including repairs. Also Barn Light Electric, www.barnlightelectric.com , vintage reproductions. as well as Pully Lights, www.pulley-lights.com , turn of the century light designs. Authentic Design Co, www.authenticdesigns.com , handcrafted period chandeliers, sconces, etc. Kitchens– The Kennebec Company, www.kennebeccompany.com , which designs and builds period-inspired kitchens for historic homes. Also Crown Point Cabinetry, www.crown-point.com , which designs and builds period cabinetry. 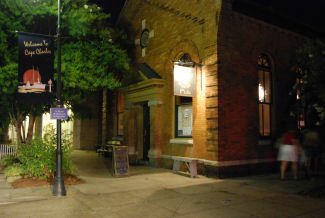 Kitchen Appliances– Elmira Stove Works, www.elmirastoveworks.com , which sells vintage styled appliances. Also Good Time Stove Co., www.goodtimestove.com , which sells restored antique kitchen ranges including electric conversions. Flooring-Carlisle Wide Plank Floors, www.wideplankflooring.com , premium wood flooring for restorations. Also Craftsman Lumber Co, www.craftsmanlumber.com, custom milled flooring, paneling and wainscoating. Hardware– House of Antique hardware, www.hoah.biz , reproductions of classic American design hardware from Federal style to Art Deco. Also, Van Dyke’s Restorers, www.vandykes.com, a huge selection of reporduction hardware. The Historic Housefitters Co., www.historichousefitters.com specializes in hand-forged iron, pewter and tin, Williamsburg Blacksmiths Co. , www.williamsburgblacksmiths.com, specializes in reproductions of early American hardware. Londonderry Brasses, Ltd., www.londonderry-brasses.com offers reproduction brass hardware which are made from lost wax castings of period originals. Kayne & Son Custom Hardware, www.customforgedhardware.com , crafted custom hardware for interiors and exteriors. Miscellaneous– Decorator’s Supply, www.decoratorssupply.com, specializes in reproduction ornamental plasters and woodwork for period remodeling. The Bendhein company, www.restorationglass.com , specializes in creating restoration window glass. Nest & Company, www.nestandco.com , specializes in items for Arts and Crafts period homeowners. The Persian Carpet company, www.persiancarpet.com specializes in reproduction designs for carpets for homes from the Arts and Crafts period. Bradbury & Bradbury, www.bradbury.com, offers Persian styled wall and ceiling papers for Arts and Crafts homes. Historic Houseparts, www.historichouseparts.com , is a company which sells various architectural salvage and restoration supplies. Classic Gutter Systems, www.classicgutters.com, offers old world stle heavy duty gutters in copper and aluminum. The Americana company, www.shutterblinds.com offers authentic Colonial period wooden blinds. Vintage Fans, www.vintagefans.com , offers sales and restorations of vintage fans made in the US between the 1890’s and 1950’s. And the Vintage Door Co., www.vintagedoors.com , offers handcrafted vintage doors in any design in any wood you choose. 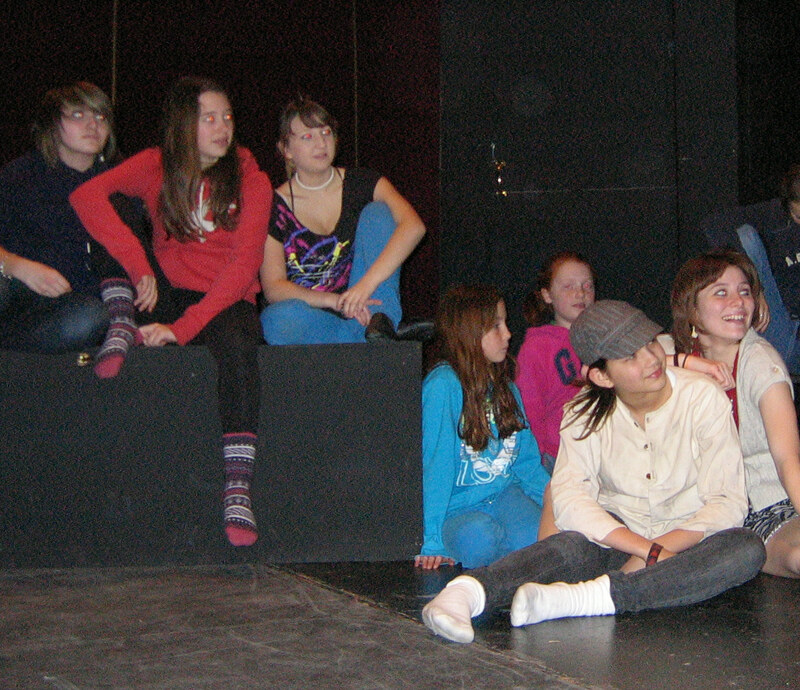 Rehearsing "Pick A Pocket Or Two" For Palace Threater's Production Of The Musical "Oliver !" Wiley, My Eastern Shore of Virginia Arabian Horse. The On-Going Saga, Part 5. Wiley Learns About The Birds and The Bees ! This is Wiley’s second spring here on the Eastern Shore of Virginia, a 2009 Christmas gift to me from my son. 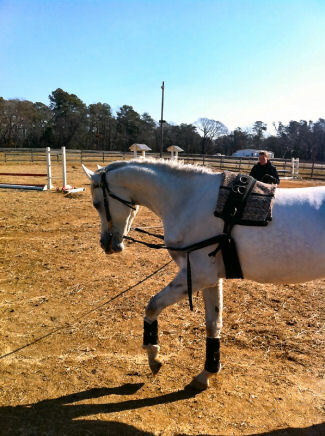 He has settled in so well, but then who wouldn’t love life on a huge waterfront farm south of Cape Charles, Virginia, just grazing on the lush grasses, cool Chesapeake Bay breezes blowing through your mane, dining on gourmet oats every night in your comfy stall in a brand new barn ? As the very smart horse he is, I’m sure Wiley realizes he’s living the life of Riley. 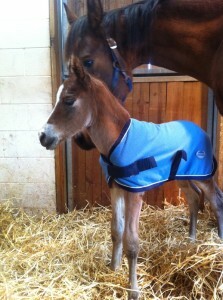 Welcome To The Eastern Shore, Little Guy ! Spring has sprung here on Virginia’s Eastern Shore and with spring comes new life. Wiley now has a brand new stable mate, a little colt which came unexpectedly early, born quietly in the middle of the night and found bright-eyed and bushy tailed at Bayview Farm’s morning feed. Now Wiley, being a young bachelor, had never actually been told about the “birds and the bees” or, in this case, about the mares and the stallions. So he was pretty curious. He knew it wasn’t a pony but was not quite sure if was actually a horse. It walks pretty funny and looks like it’s all legs, with a head too big for such a small body. But all in all, Wiley thought he was a cute little fellow, bay with a long white blaze and 4 white sox, described by one of the mares who is a serious NASCAR fan as having “lots of chrome” , and he has welcomed him as an additional stable mate so long as he doesn’t cry a lot during the night and disturb his beauty sleep. And he’ll need all the deep beauty sleep he can possibly get because this is the time of year that every horse aspiring to be a show ring star needs to get to work to get back in shape. You are currently browsing the Life and Real Estate on the Eastern Shore of Virginia blog archives for March, 2011.